Fake pop-up like “Virus Alert from Microsoft. This computer is BLOCKED” is a fake warning that aims to mislead computer users either to download recommended program or call technical support numbers. It is important to note that fake “Virus Alert from Microsoft” usually pop-ups upon visiting malicious websites that was made solely to present the bogus alert in an attempt to mislead visitors. Most users claims that unwanted visit to such web pages are a result of browser redirect adware that may have hit their computer. Your computer’s registration key is Blocked. The Windows’ registration key is illegal. This Windows is using pirated software. This Windows is sending virus over the internet. This Windows is hacked or used from undefined location. 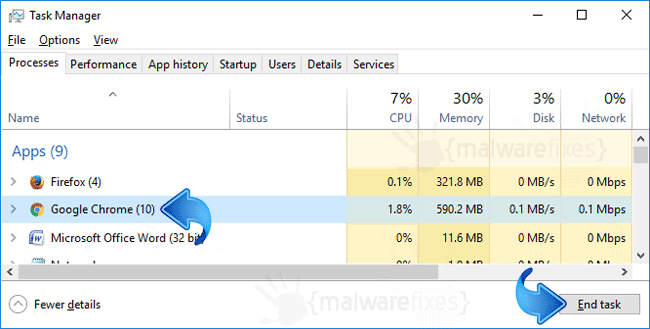 Aside from being a disturbance to ones browsing activity, fake “Virus Alert from Microsoft” may also lead to PUP infection when it prompts to download malicious files through deceptive notification. Thus, we highly suggest cleaning the browser and stopping fake “Virus Alert from Microsoft” from bugging the computer. 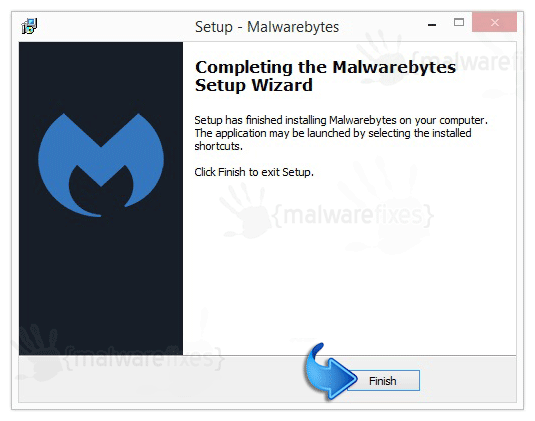 Below is an easy and complete solution to cease the operation of “Virus Alert from Microsoft” fake pop-up alert. During browser hijacking that involves fake alerts, it is important to close the internet program first and avoid downloading any software from the said window. 1. On the fake alert window, click the X on upper right corner. 2. If the fake alert window persists, you can end the running process by executing the following steps. 3. Press Ctrl + Shift + Esc on keyboard to launch Task Manager. 4. On Processes tab, select the affected internet application and click on End Task button. 6. Next, click on Threat Scan. 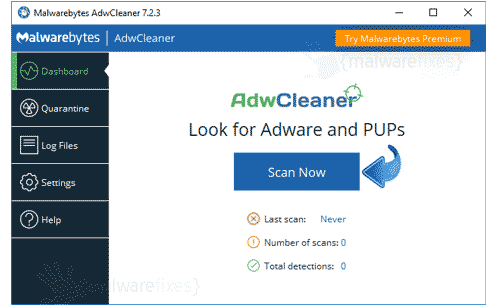 This is the most comprehensive scan method that will surely find any hidden items linked to fake alert “Fake Virus Alert from Microsoft”. 4. 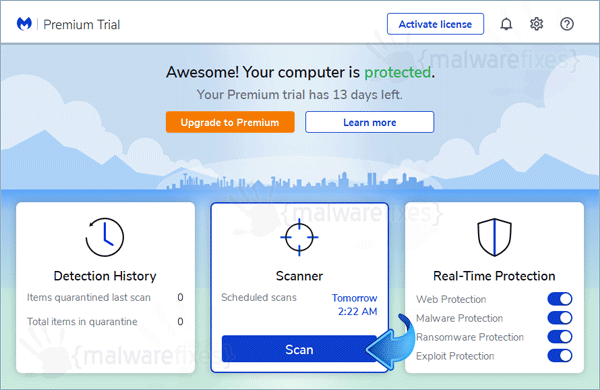 It searches for presence of harmful programs, plug-ins, add-ons, or any data that were found malicious and linked to “Fake Virus Alert from Microsoft”. You need to Clean all items detected by this tool.